SOURCE: Guzman Law Group, P.C. 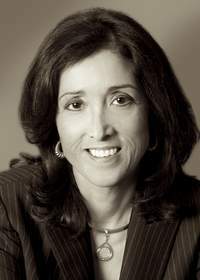 LOS ANGELES, CA--(Marketwire - April 13, 2010) - Comerica Bank, in partnership with the Los Angeles Lakers, today named Denise Guzman, principal of Guzman Law Group, P.C., as their "Woman of Entrepreneurship" honoree in the Best of L.A. Women's Business Awards. This is the first year the L.A. Lakers have partnered with Comerica Bank to create a business awards program to recognize the most inspiring women in leadership in L.A. County. A dignitary from Comerica Bank will present Ms. Guzman with the Woman of Entrepreneurship Award at a special presentation at the STAPLES Center, Tuesday, April 13th, 2010 prior to the Lakers/Sacramento Kings game. In addition to her award, Ms. Guzman, a noted business and estate planning attorney for the past 30 years, will receive "on court" recognition, this time on the basketball court. This is not the first time Ms. Guzman has received recognition; Denise Guzman is well known for her passionate entrepreneurial spirit and longstanding commitment to community service. Ms. Guzman earned her Bachelor's degree from USC and a law degree from UCLA. In 1978, after passing the bar, she founded her first law practice. Soon after, she began serving as a director of the Lomita Chamber of Commerce. In 1993, noticing that women were not being welcomed into the ranks of many business and professional associations, she founded the South Bay Chapter of the American Business Women's Association, a national organization dedicated to fostering professional and personal growth for businesswomen. Over the next 12 years, she served on ABWA's board of directors. In 2003, Ms. Guzman received "Woman of the Year" from the Switzer Center for her service to the community from this pioneering organization for special needs education. She continues to serve as a trustee of the Palos Verdes Art Center and as a board member for the Joy2Learn Foundation, an organization that donates high quality art content to schools. Throughout her legal career, Ms. Guzman has received accolades from her contemporaries for her dedication, expertise, and integrity as a trusted advisor. To her clients, she is quite frequently referred to as a "friend," an important testament to the way she conducts business. Over the past three decades, Ms. Guzman has served as a sole practitioner, headed a mid-sized law firm, and founded a multi-service law firm, Guzman Law Group. In each capacity, she has remained actively involved in helping women and other professionals by imparting the core values that have successfully guided her throughout her career. Denise Guzman is the founding partner of Guzman Law Group, P.C. The firm focuses on providing high caliber legal services for business, entertainment, intellectual property and estate planning clients. About this company Guzman Law Group, P.C. Denise Guzman of Guzman Law Group to receive Woman of Entrepreneurship Award from Comerica Bank and L.A. Lakers in Best of L.A. Women's Business Awards.